JUST IN: Globe Telecom has just announced now (along with Smart) that their GoSURF50 promo will have an additional data allocation plus a unlimited all-networks texts that will start tomorrow, July 2, 2016! 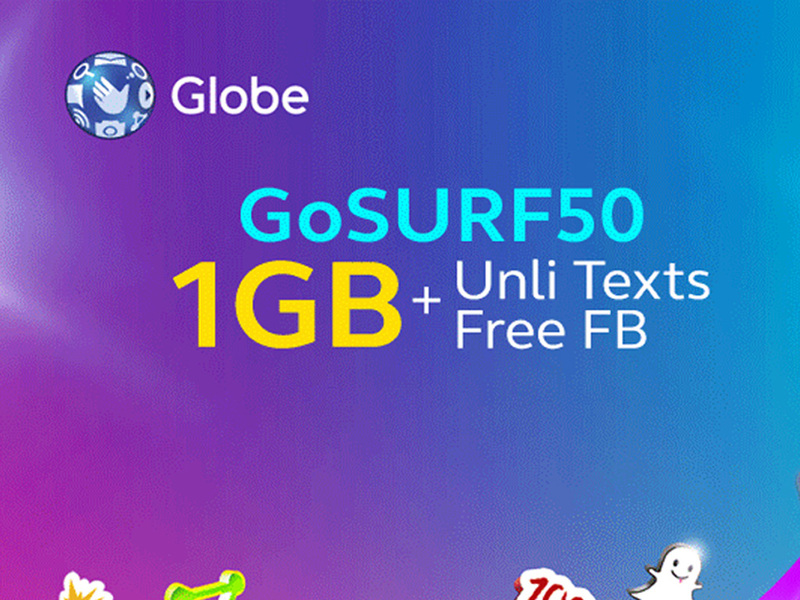 The new GoSURF50 (P50/3 days) will be upgrading its data allocation from 350MB to 700MB which means a double data size and the promo will include additional 300MB extra data access for these apps / online services such as Facebook, Snapchat, Viber, Spotify Basic, Youtube, DailyMotion, Clash of Clan and Clash Royale. Overall the promo totals to 1GB of bundled data and online services that can be accessed. Do not be confused with the other GoSURF50 with a 7-day validity qith this promo as that is a different one. To register to this promo, kindly text the keyword GS50 and send to 8888 or using *143# from your phone dialer to access the Globe menu list of available promos and services. You can learn more of the upgraded promo here. What do you think of the promo upgrade from Globe? Let us know in the comments below!